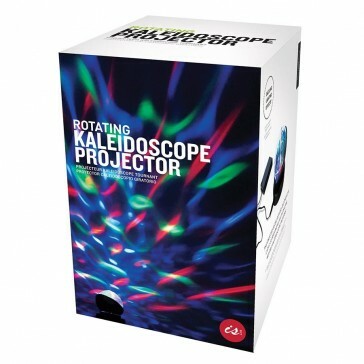 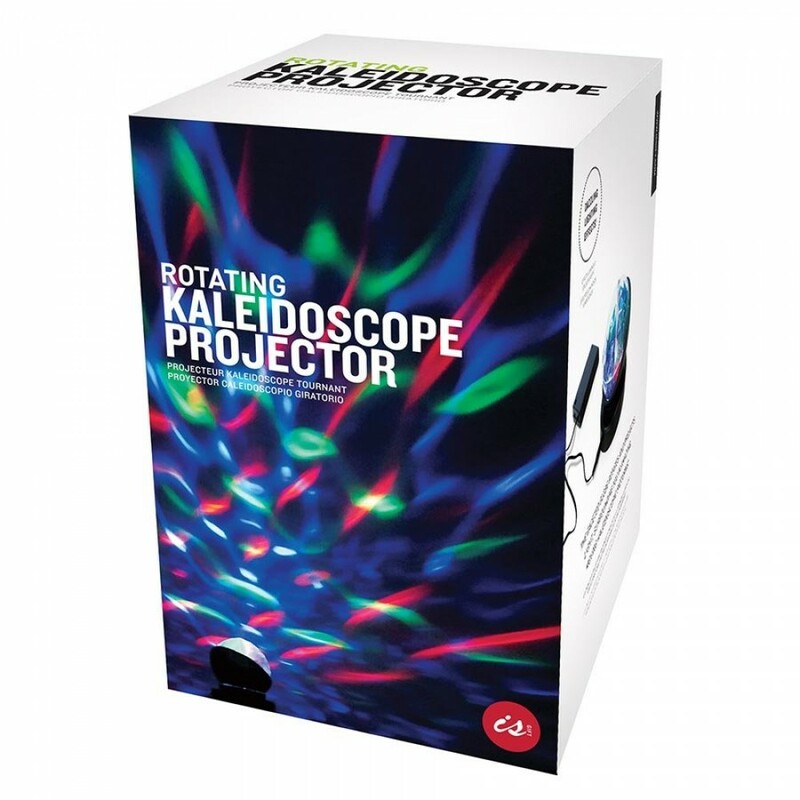 This spectacular battery operated revolving light projector refracts blue, red and green lights surrounding you in amazing, moving kaleidoscopic patterns! 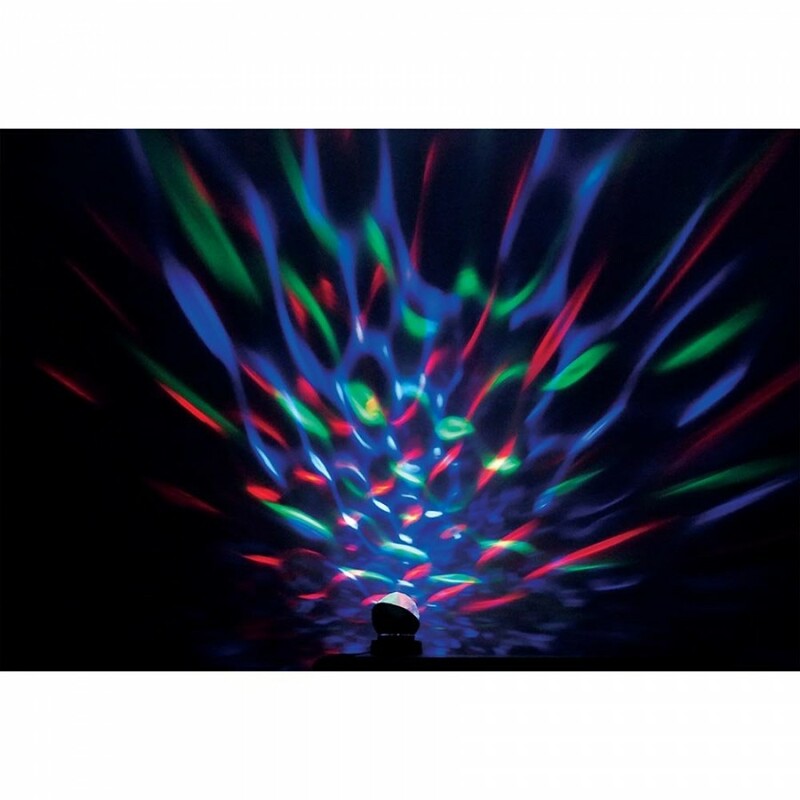 Transform your dance floor or bedroom into a magical light show. 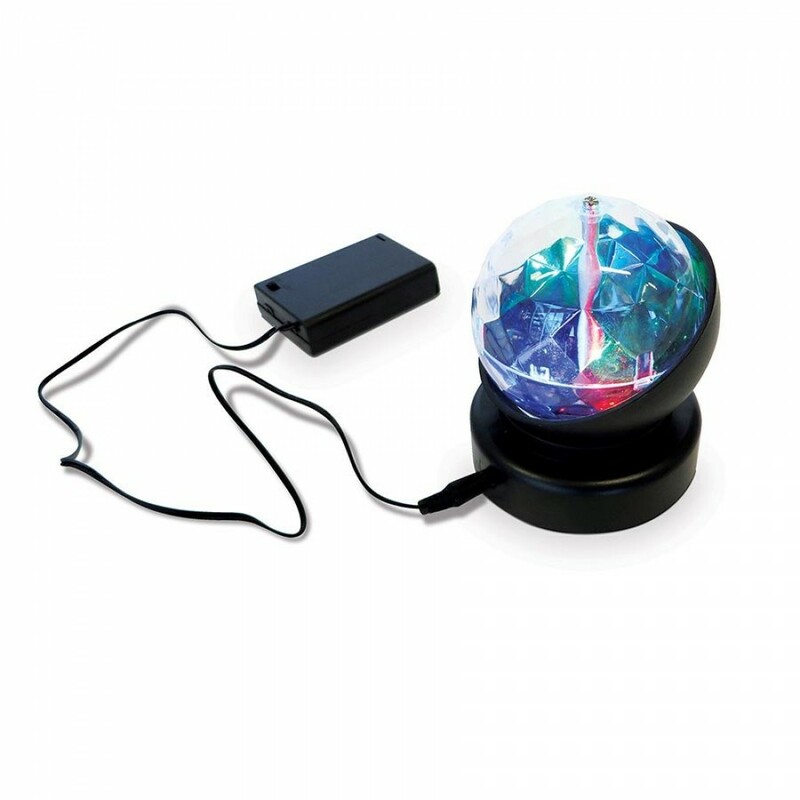 7.4 x 7.4 x 10.1 cm.